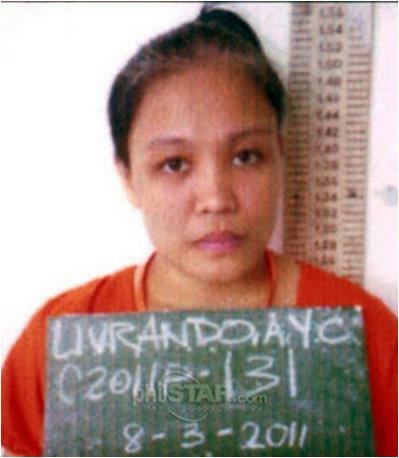 For those of you who don't know the housemaid tagged as "The Poison Ivy", Anamie Livrando escaped from Correctional Institution for Women (CIW) in Muntinlupa City by scaling the perimeter wall for the second time on November 19, 2011. The suspect, who posed as a housemaid, is responsible for poisoning and robbing 10 Chinese Filipino families. Her modus is to pose as a housemaid looking for a job. Once hired, she would feed household members with food laced with poisonous substances, then rob her employers of cash and valuables. At times, when the suspect cannot find a suitable employer, she will befriend security guards and beg them to recommend her to people looking for a housemaid.